As a holistic health coach, I work with people on an individual or group basis, where we work together to identify small integrative steps they can take to become healthier. The work itself is really part listener and part recommendation-giver to encourage and allow the client to learn to listen to their own body and decide whats right for them. Holistic health coaches act as a wellness mentor and support system to the client who is looking to feel their best and is ready and willing to make changes to their diet and overall lifestyle. It’s our job to tailor specific recommendations to each client based on their life, body, and needs. The main role of a holistic health coach is to help guide clients to live a healthy life in general, not just through their food, but in all areas of their life and in particular, their relationships, physical activity, spirituality, and their career. For the most part, you can eat a healthy diet, but you arent truly healthy unless all these other areas are in balance as well. These are some of the things I focus on with my clients in my programs. Many holistic health coaches go on to work one-on-one with clients, in group formats, lead corporate wellness programs, or integrate their offerings into other wellness offices (i.e. working alongside a chiropractor, massage therapist, or acupuncturist). What types of things do you coach people on? As a holistic health coach, my job is to help the client understand their own body and guide them to listening to their very own cues to help them achieve their health goals – whatever those may be. The goal is to together come up with small steps to become healthier overall and to understand their own unique makeup (their Bio-individuality) and what works for them to feel their best. You can choose to focus on a specific niche by helping only a certain set of people with a certain set of health issues. Health and fitness coach: You can focus on helping your clients reach their fitness goals, either through starting up an exercise program or integrating food into their existing exercise routine for optimal performance. Paleo health coach: You can teach clients how to get started with a paleo diet and how to keep it fresh and interesting in the long-term. Plant-based health coach: You can help clients transition to a plant-based diet and help them move away from highly processed foods to more plants and whole foods. Diabetes health coach: You can focus on helping clients get their diabetes symptoms under control, and come up with specific ways to maintain healthy blood sugar levels throughout the day without major highs and lows. Men’s health coach: You can coach specifically men and help them manage stress, get an exercise routine in place, or get them on track with a sustainable healthy meal plan. Family health coach: You can become an advocate for entire families getting healthy by helping them create menu plans they can all agree on, get a fun exercise routine setup that involves everyone, and spend more time together. PCOS health coach: You can focus on one specific health issue, like managing symptoms and preventing flare-ups for women dealing with PCOS. You can recommend foods and supplements that help and develop a healthy coping strategy for flare-ups when they show up. If you’ve ever tried to take on a change in your health and wellness, you know it’s not always easy to do it alone. Some of us need the additional support of an ally and someone to talk things through with. Through the relationship of health coaching, you’ll have an accountability partner to hold you up to your end of the goal-setting process, while holding space for you to work through any challenges you may have while you’re making the shift. Through the process of hitting goals and not hitting goals, you’ll be able to get creative with new approaches that just might not work for you (like sheer willpower). One the great things about holistic health coaches is that they’re trained in multiple health theories (100+ to be more accurate!) so you can be sure that we don’t hold a “one size fits all” approach when it comes to working with our clients. We have a ton of different ideas in our back-pockets that we can recommend to you and help you get to the next level in your health and wellness goals. Best of all, since most holistic health coaches already have a passion for the topic, we can research and share with you details of an approach that we think you’d be interested in for you to look into as well. Holistic health coaches believe that every person has their own unique makeup, or Bio-individuality, and with that, we know that not everyone gets to their goals in the same way. Based on your specific walk of life, your current schedule, and what your personality is, we may make different recommendations for you. Knowing that you’re getting that kind of tailored approach doesn’t come from diet books you can pick up at the bookstore. We want the best for you and will do our best to tailor our recommendations to help you get to where you want to be. Another great benefit of holistic health coaches is that we believe in prevention of many health issues that are all too common these days. While doctors and prescriptions are great, our goal is to help you prevent so many of those health issues from cropping up long before you have to make it to the doctor to get it checked out. But if you already have some health concerns, we’ll do our best to help you manage and (if we’re lucky) get you on track to doing away with those as well. The best benefit of health coaching is that we’re more than just interested in telling you about food and nutrition. We’re here to help you become the healthiest version of yourself – whatever that means for YOU. We’re excited to help support you emotionally as you make the transformation from where you are now to where you want to be. You can be sure that as a holistic health coach, we’ve heard and seen it all – and we’re more than happy to talk through the big stuff with you like relationships, career, and physical activity. There’s no judgement, just love and support to help you on your journey. If you’ve been considering working in a health and wellness setting empowering others to take charge of their health, becoming a certified holistic health coach may be just the thing you’ve been looking for. Becoming a Holistic Health Coach will allow you to work one-on-one with clients on issues related to their health, nutrition and lifestyle. While working with clients, you will ultimately provide the and support that they need to make sustainable changes in their diet, exercise routine, relationships, daily practice and career. Your career in health coaching will guide your clients to become happier and healthier. The holistic health coach training program through The Institute for Integrative Nutrition covers cutting-edge and holistic nutrition concepts along with modern health issues that you won’t always find in a traditional nutrition or health coach certification program. The program is set as a one-year online experience and has a series of tests, mentoring sessions, and an active community to engage with and learn from during your training period. This program is geared towards both healthcare providers and fitness professionals. The program is an independent study course, where you can learn at your own pace and prepare for the health coach certification exam at home. This is program has more of a focus on fitness and exercise than other health coach certification programs. This is the shortest health coach certification program, designed to get students certified within six week. You can choose from one to three courses focusing on families, adults/seniors, and pregnancy, with each course adding an additional 3 weeks to your certification period. This program is an online learning experience with live virtual classrooms, reading assignments, and discussions. This program has two levels of certification: the Certificate of Completion of the Foundation Course, and the Certified Integrated Health Coach (after completing the certification course). The program is broken into a series of modules, designed to help you practice in a clinical setting between each module. In order to take this program, you must have a bachelor’s degree or higher or must have 3-5 years of experience in a health, psychology or nutrition background. This program focuses on habit change versus nutrition and diet changes. There are no prerequisites to join this program and you can complete the entire course online within 6 months. You will receive your health coach certification after your completion of 4 pillars of training, weekly skills labs, Q&A calls, and office hours with the creators. 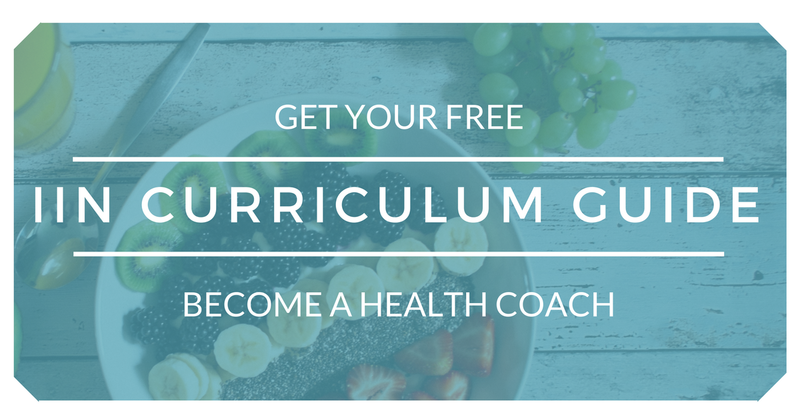 With all these health coach schools and programs, you might be wondering how you choose which one is right for you? In my experience, I firmly believe that research is the best antidote to confusion and overwhelm, so I invite you to dig in and learn more about each program before deciding which one is right for you. If you still aren’t certain, my next best bit of advice is to simply follow your gut, your inner voice, and your inner knowing that what you choose will be the best option for you. You’ll know that becoming a holistic health coach is right for you when you have a desire to explore your own health and help others. A need to make an impact in the world. If you’ve ever wanted to work in the wellness industry, becoming a certified holistic health coach is the first step to creating a thriving business and the lifestyle you’ve been craving. After all my research far and wide, I decided to gain my holistic health coach certification through The Institute for Integrative Nutrition. The health coach training program through The Institute for Integrative Nutrition (IIN) will gain you a holistic health coach certification within six months, where you can begin practicing with clients. However, the full program, including how to build your business and your health coaching practice takes a full year. You also have the ability to become accredited through the American Association of Drugless Practitioners (AADP) and you can earn continuing education credits through Goddard College and California State University Long Beach. There are no prerequisites to join, except a passion for health and wellness and helping others achieve their goals. You don’t need a college level education or degree, however I believe most folks I’ve spoken with have at least a high school diploma and some college education. Over the years, there have been many questions and a debate online about whether you can practice as a holistic health coach in certain states and to my full knowledge, this isn’t true and there are restrictions on health coaching from state to state. As you’re making your way through the health coach training program through IIN, you may practice your coaching techniques other students. IIN encourages you to get to know your fellow classmates and since youre all in the same position (of just starting out), the expectations to do things perfectly are really low. You can also practice with friends or family members who are interested in what youre up to (particularly the ones you know you wont want to work with in the future). You may be wondering how the online distance learning of the health coach certification program works through The Institute for Integrative Nutrition. Modules are released every Monday to the IIN app (which is currently available on the iPad and some other Apple devices) with different lectures to listen to or watch, materials to review, and assignments to keep you moving forward in your business development and own personal growth as a holistic health coach. There are also discussion boards for you to connect with other students and answer a few questions to stimulate conversation, although participating is not required. Its all REALLY easy. IIN makes it so simple for us. There are four tests throughout the program, one after each set of ten modules (there are 40 modules in total), covering the material from the last ten released modules. All the tests can be taken online and are open book, so you can go back through your notes or even the lectures to help you. One of the most amazing things about the health coach training program through The Institute for Integrative Nutrition is the holistic approach that they take through everything. It’s not enough to just learn about nutrition and diet, but they want to help you on your journey towards becoming healthier as well. They also want to make sure that you’re set up for success by sharing information on how to launch your own practice either in-person or online. Chairman of Nutrition at the Harvard School of Public Health and a professor of medicine at Harvard Medical School, he is the author of several books, including Eat, Drink, and Weigh Less. A Harvard Medical School graduate, Dr. Weil has traveled the world experiencing and studying healers and healing systems. He is a world-renowned, bestselling author and founder and director of the Program in Integrative Medicine at the University of Arizona. The world leader in the field of mind-body medicine, he is the Founder of the Chopra Foundation, and Founder and Co-Chairman of the Chopra Center for Wellbeing in Carlsbad, California. Chopra integrates the best of Western medicine with natural healing traditions. He has authored over 60 books with 18 New York Times best sellers. One of the biggest questions I get asked is how much the program costs. This is a great question and like anything else, it’s so important to gain as much information as possible while you’re researching any big life decision. While I won’t share this information here on this page, I will say that most of my friends have made their money back during the time they were still in the program and building out their practice. I’d be happy to share the cost of tuition with you privately if you’d like to email me, or you can reach out to an admissions representative at [email protected] for the full details. Now, let’s talk about money. It’s what so many people want to know – how much do health coaches make? The U.S. Department of Labor Bureau statistics reports that health educators and community health workers make a median salary around $44,390 per year, and dietitians and nutritionists make a median salary around $58,920 per year. While I don’t feel strongly that either of these terms perfectly match what a health coach does, you can see that there is quite a range that you may fall into if you were to go into this career. You can build your own practice within your local community or start an online health coaching practice by building out a website and using online marketing methods to attract ideal clients to you. The great thing about creating your own practice is that you can control the hours you work, you decide on your clients, and you can choose your own rates. You can join a large organization or corporation that has a wellness program in place and be their resident health coach and expert. You can also work for a larger health coaching group where you get assigned clients by a manager based on your specialties or distinct interests. The benefits of being employed as a health coach by a larger company is that you have a reliable and secure income. You may come across a physician in your area who has the same preventative ideas about health and wellness as you do, and offer paying positions as a health coach inside their office. It’s a great way to have a steady stream of clients and you can discuss their overall health plans with the physician before you map out a strategy for getting them to their goals. In many larger metro areas, you can often find natural wellness centers with offices for chiropractors, massage therapists, acupuncturists, and other wellness practitioners. Setting up an office for your practice inside a wellness center is a great way to have a referral system in place and encourage your clients to seek overall wellness using the other practitioners inside your building. Do I want to create my own health coaching practice, determine my own hours and rates? Do I want the security of working for someone else and perhaps would enjoy becoming an employee for a large corporation or organization? Would I like to be the go-to health coach within a physician’s office, with a referral network built right in? Or would I like to do my own marketing and referral building? Would I like to work part or full-time? As you can see, there are a lot of things to consider when it comes to health coach certification. 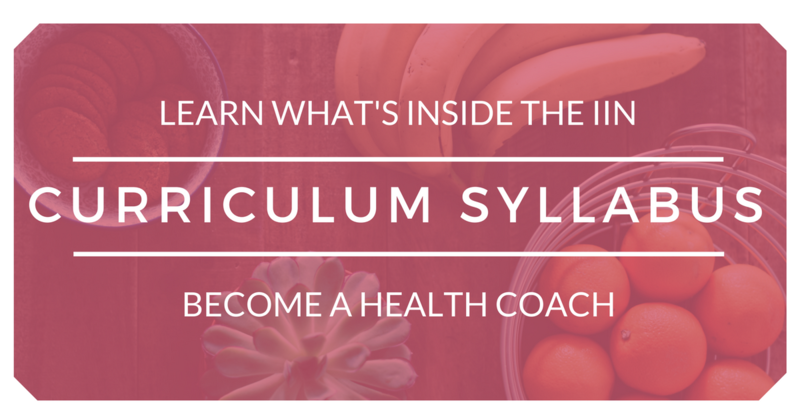 I hope that if you want to become a health coach, you enjoyed this ultimate guide and have many of your questions answered. If there are more questions you have about health coaching or The Institute for Integrative Nutrition, I’d be happy to answer them. I’d love to offer you access to my free Holistic Health Coach FAQ, which is a compilation of the most common questions I get from folks about becoming a health coach. I’ve put them all inside one document for you to find out what my experience was like going through the program, as well as how I’ve worked to build my business while in the program. 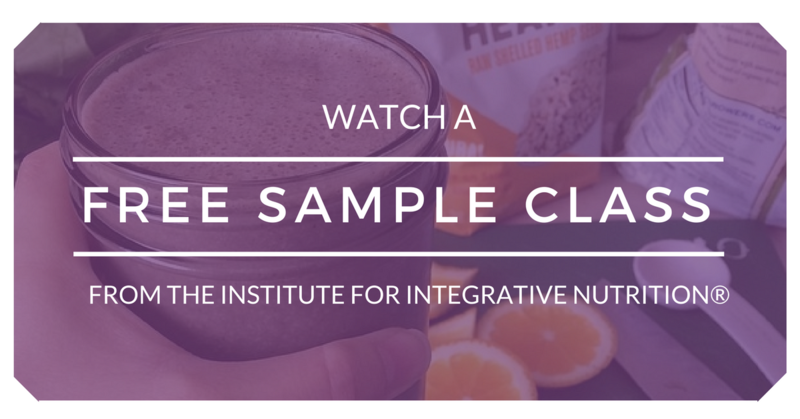 As an Integrative Nutrition® alum, I've been there done that with this program, and will happily support you make an informed decision before making a choice on if this program is right for you. Download this 30-page FAQ guide of my personal experience with the program.